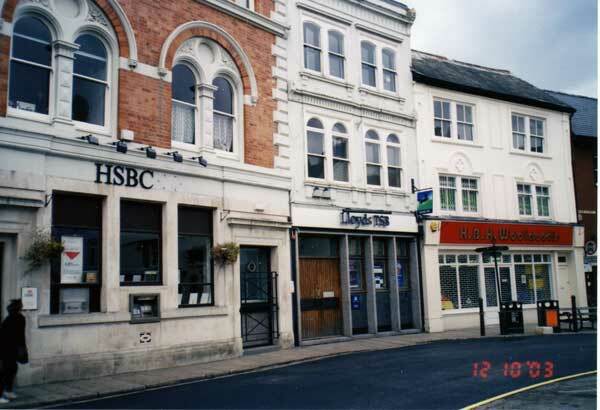 The buildings of Launceston | Launceston Then! 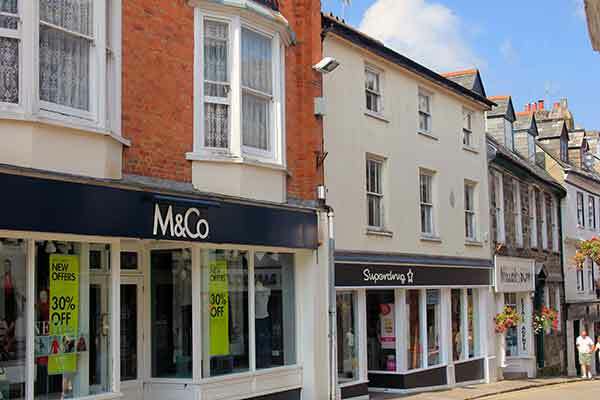 Left, Corner House, opposite the Westgate Inn and probably on part of the West Gate site: the newly completed premises were advertised as ‘Accommodation to Let’, by Mr Peak, tailor, draper and outfitter, Westgate Street, in 1878. 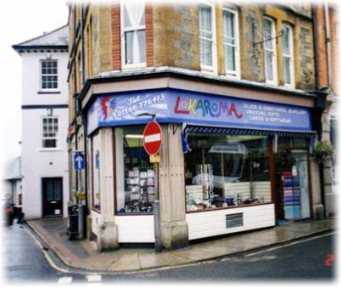 The shop has been a greengrocers, a ‘Bistro’, a vet’s shop, and a café. 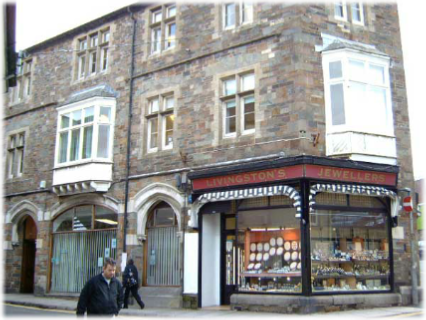 Below, The Westgate Buildings: Post & News, 23rd April 1881: ‘Builders desirous of Tendering for the Erection of Business and other Premises may see the Drawings and Specifications on and after Monday next, by applying to Mr Heyward, Launceston. Sealed Tenders endorsed “Westgate Buildings”, to be delivered at our office on or before Thursday, the 5th of May next. The lowest or any tender will not necessarily be accepted. Hine & Odgers, architects, Lockyer Street, Plymouth. April 23, 1881. 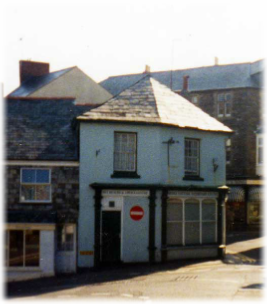 Above in 1860 The Little White Hart Inn, in Back Street, Launceston, was put up for letting by tender and was taken by Mr John Ching, being purchased by him soon afterwards. 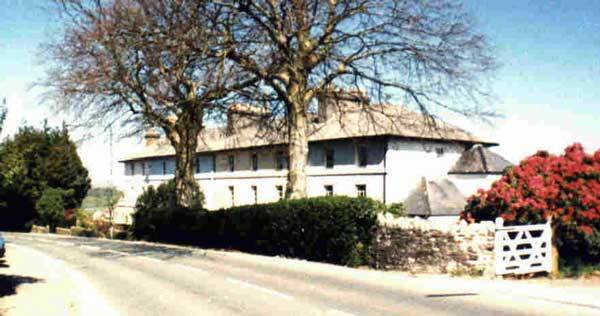 The inn was later purchased by Mr W Pethick. In 1893 Mr Pethick’s wife suffered a severe accident while out driving near Tresmeer Station when a locomotive approached quite suddenly frightening her horses and making them somewhat ‘restive.’ While endeavouring to control them Mrs Pethick was thrown from her seat to the ground. She was brought to Launceston by train for treatment under Dr Andrews. 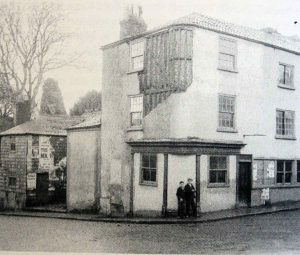 The old inn was out of profitable repair by 1900 and was put up for sale, being purchased by Mr Dunn, baker, confectioner and grocer, who lived at No 1 Westgate Street. 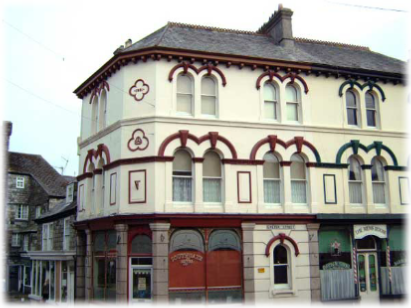 Mr WV Dunn had the inn razed and engaged Mr Otho B Peter, architect, to design a bakery, grocery shop and living accommodation on the site and this was erected by Mr James Broad, builder and contractor, Launceston, in 1901. Above he 1875 Fire at Launceston. 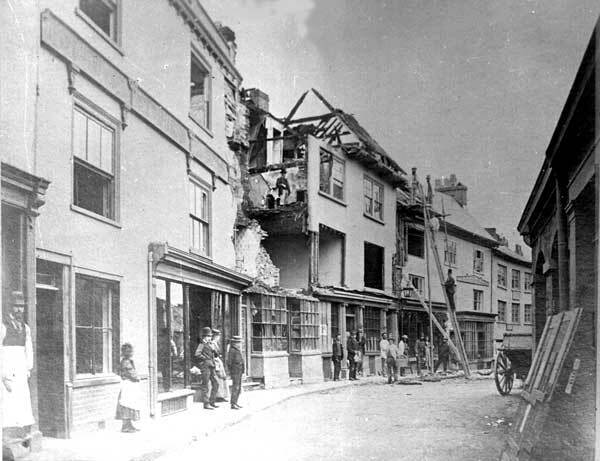 The grocery and forage dealer’s stores in High Street, belonging to Mr Lyne, caught fire on the morning of May 19th, 1875. The fire brigade were soon on the scene but Mr Lyne’s property was destroyed, the roof of the house of Mr Ellacott, on the lower side, was also destroyed, while Mrs W Thomas’s milliners and drapery premises on the other side were badly damaged. Mr James Hine, architect was engaged to draw up plans for new premises for Mr Lyne, and repairs to Mr Ellacott’s house and Mrs Thomas’s property. 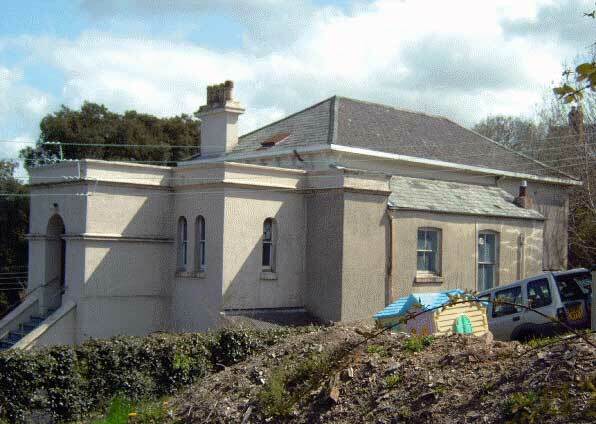 The building work was contracted to Mr William Burt. 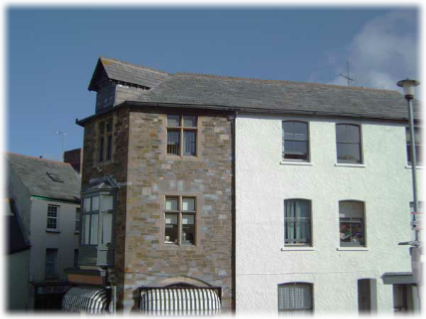 Above the Castle Hotel: The Temperance movement was growing in the Launceston area, and after several unsuccessful attempts to close public houses the movement put in a bid for the old Exeter Inn, in High Street. 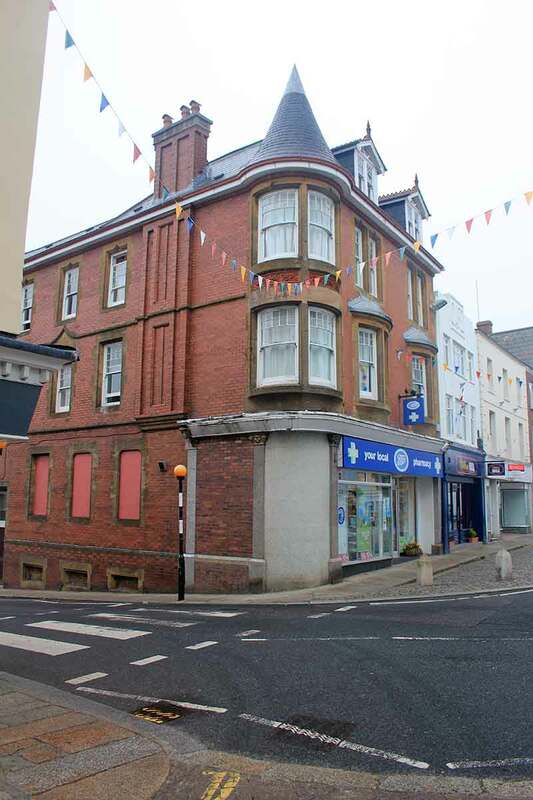 Finally being successful they had the old inn taken down and engaged Mr OB Peter to design a Temperance hotel to place between the existing buildings in 1894. 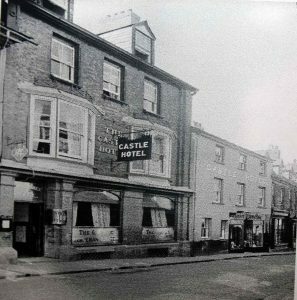 The new edifice was named The Castle Temperance Hotel and was inserted between other shops with some difficulty by Mr. William Burt, of Newport. Soon after completion the new landlords held a grand dinner for every one connected with the building, including Mr Burt and his workmen. To Builders. Persons desirous of Tendering for the erection and completion of Business and Dwelling Houses at Southgate, Launceston, can inspect the Drawings, Specifications and Conditions at the office of the undersigned, to whom Sealed and Endorsed Tenders must be sent on or before the 10th March next. Neither the lowest nor any tender will necessarily be accepted. 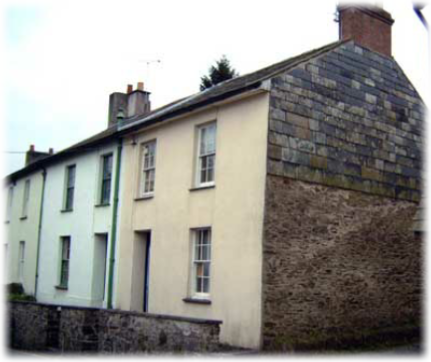 Below (Exeter Street) Included in a Property Sale at the White Hart, Launceston, on 1st July 1867, were – “Four Dwelling Houses, adjoining each other, with Gardens attached, situate in the New Eastern Road, Launceston, and now occupied by Messrs McCracken, Vosper, Bickle and Raddal. These houses are substantially built and are nearly new. They will be offered either separately or as one Lot. Designed by Otho B Peter, architect. 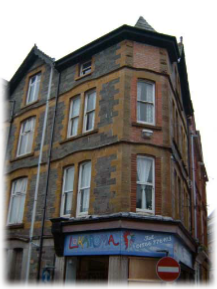 Below in June 1876 the Launceston Masonic Lodge laid the foundation stone for their new lodge building in Tavistock Road, Launceston, on a site given by the Rev J K Lethbridge. 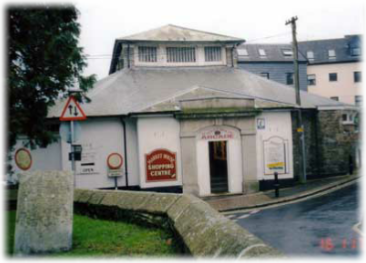 It was erected by Mr William Burt, builder and contractor, Newport, to plans drawn by Mr James Hine, architect, Plymouth. 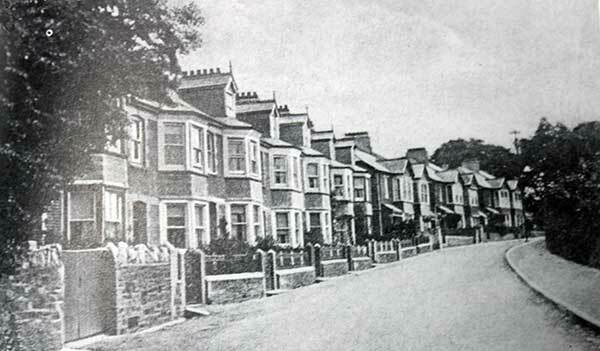 Below several villas were erected on the new Tamar Terrace Road, cut c.1834, to avoid the climb over White Lane (Race Hill). 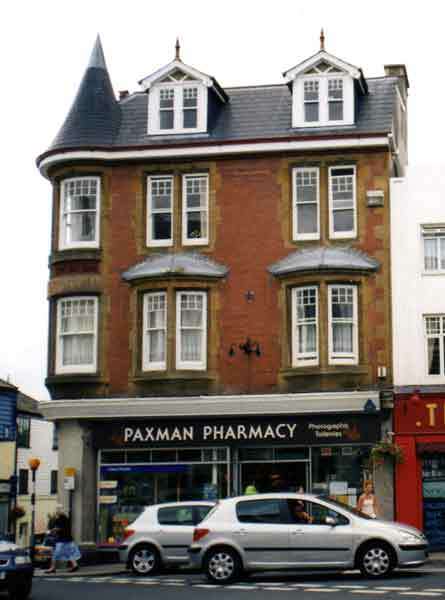 The first were named Victoria Place. Below No. 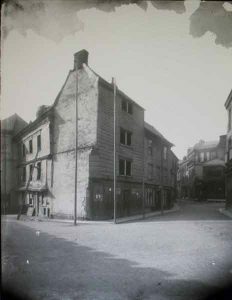 1 Church Street in 1897 just before being demolished for the newly designed building by Mr Henry Burt, architect, Newport, Launceston, for Mr Cook, as his new confectionery and bakery, and shop; erected by Mr James Broad, in 1898. 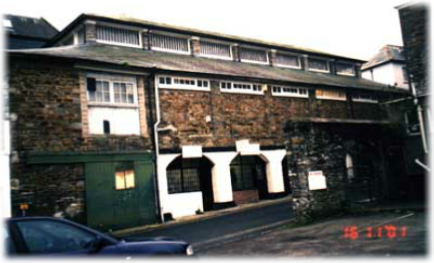 Below the Market House, or Lower Meat Market, was designed by Mr George Wightwick, architect, Plymouth, for the Town Council, and erected in 1840 at the same time as the Upper Meat Market which was erected in the Square at the same time, also to designs by Wightwick. 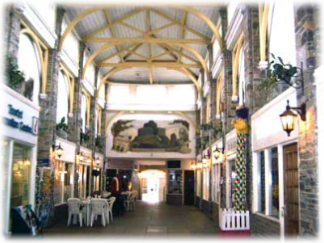 Lower Meat Market interior, Launceston.